Data privacy is an extremely important topic, and lately, we’ve seen more and more media coverage and discussion about it. High-profile data breaches, and misuse and abuse of Facebook user data by third parties have dominated the headlines the past few months. Governments across the world have been working for years on creating laws that adequately protect consumer’s privacy. The European Union is set to release the newest consumer privacy laws this month. On May 25, 2018, the EU General Data Protection Regulation (GDPR) comes into effect. This new regulation replaces Data Protection Directive 95/46/EC and harmonizes data privacy laws across Europe. The GDPR affects any person, organization, or entity who processes and/or stores data of citizens of the EU. Wicket and some of our clients fall under these new regulations. By collecting the data from your EU members or contacts, you and your organization are acting as the Data Controller. This data includes an EU citizen’s name, email, social media posts, IP addresses, or other metadata. So, how can you comply? Ensure you have obtained explicit, opt-in, and freely given consent from the user to gather and store their data. This consent can be withdrawn by the user at any time. Your user data is processed and stored by Wicket. Wicket can help you obtain explicit consent from users, delete user data, and export collected data. For deletion and export of data please contact Wicket Support. Wicket’s data is processed and stored on servers located in Canada. Canada is listed as a “Secure third country” by the European Union. The EU has confirmed that commercial organizations within Canada must adhere to privacy laws comparable to those in the EU. This means that data of EU citizens can be transferred to, and processed by, Wicket. MailChimp is located in the United States. 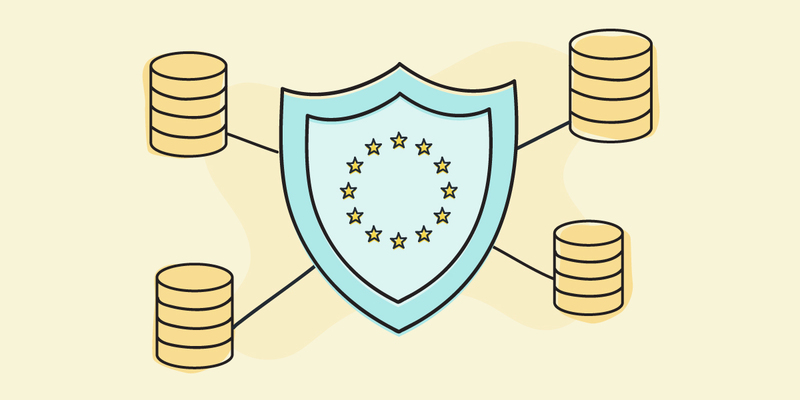 While the US is not on the pre-approved list of “Secure third countries,” MailChimp has voluntarily certified to the U.S. Department of Commerce that they comply with the EU-U.S. Privacy Shield Framework. This means that they are allowed to process data under the GDPR. Eventbrite is located in the United States. While the US is not on the pre-approved list of “Secure third countries,” Eventbrite has voluntarily certified to the U.S. Department of Commerce that they comply with the EU-U.S. Privacy Shield Framework. This means that they are allowed to process data under the GDPR. Shopify is located in Canada, but has voluntarily certified to the U.S. Department of Commerce that they comply with the EU-U.S. Privacy Shield Framework. Litmos by CallidusCloud, Inc. is located in the United States. While the US is not on the pre-approved list of “Secure third countries,” CallidusCloud has voluntarily certified to the U.S. Department of Commerce that they comply with the EU-U.S. Privacy Shield Framework. This means that they are allowed to process data under the GDPR. Chartio is located in the United States. While the US is not on the pre-approved list of “Secure third countries,” Chartio has voluntarily certified to the U.S. Department of Commerce that they comply with the EU-U.S. Privacy Shield Framework. This means that they are allowed to process data under the GDPR. Formstack is located in the United States. While the US is not on the pre-approved list of “Secure third countries,” Formstack has voluntarily certified to the U.S. Department of Commerce that they comply with the EU-U.S. Privacy Shield Framework. This means that they are allowed to process data under the GDPR. Moneris is a Canadian company and therefore can store, process, and transfer EU data. If you have any questions about Wicket’s role in helping you adhere to GDPR, please reach out to Wicket Support. For legal questions, we suggest seeking legal counsel.